In herbal medicine we use the small but strikingly pretty flowers of Red Clover; a plant that grows freely around the world where there are green and grassy spaces. Red Clover was highly regarded in the ancient world as a cleansing medicinal herb, especially when chronic disease had set into the lungs or the skin. 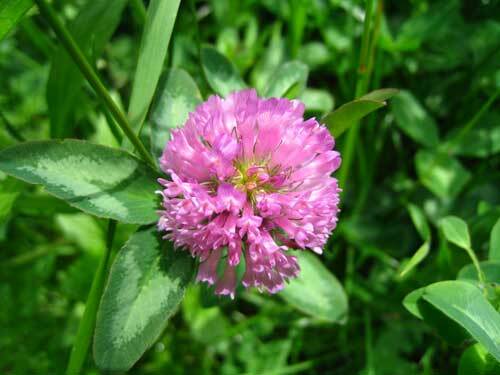 Russian folk healers and traditional Chinese physicians have long used Red Clover for asthma, bronchitis and to clear the lungs. From King's Dispensatory in1898; Red clover is an excellent alterative, and one of the few remedies which favourably influences pertussis. 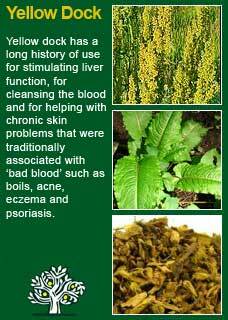 It is also a remedy in other spasmodic coughs, as those of measles, bronchitis, laryngitis, phthisis, etc. It is an excellent internal agent for those individuals disposed to tibial and other forms of ulcers, and it unquestionably retards the growth of carcinomata, and may be freely administered to those of a cancerous diathesis. 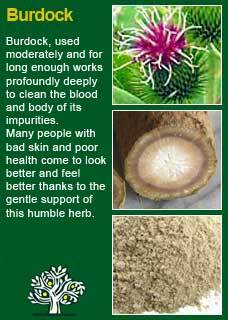 The extract, spread on linen or soft leather, has long been said to be an excellent remedy for cancerous ulcers. It is also highly recommended in ill conditioned ulcers of every kind, and deep, ragged-edged, and otherwise badly-conditioned burns. It possesses a peculiar soothing property, proves an efficient detergent, and promotes a healthful granulation. The infusion may be used freely; a strong tincture may be prepared from the recently dried flowers. 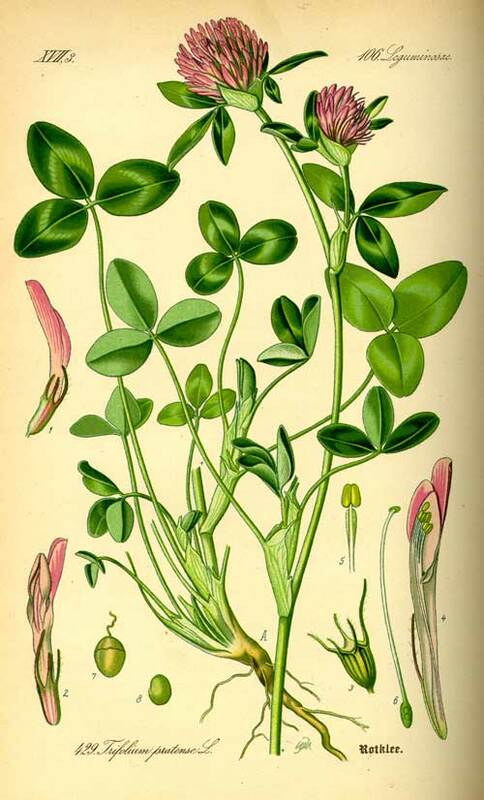 D Hoffmann writes 'Red Clover is a useful remedy for children with skin problems. It may be used with complete safety for any case of childhood eczema, and can be effective for other chronic skin conditions as well, such as psoriasis. 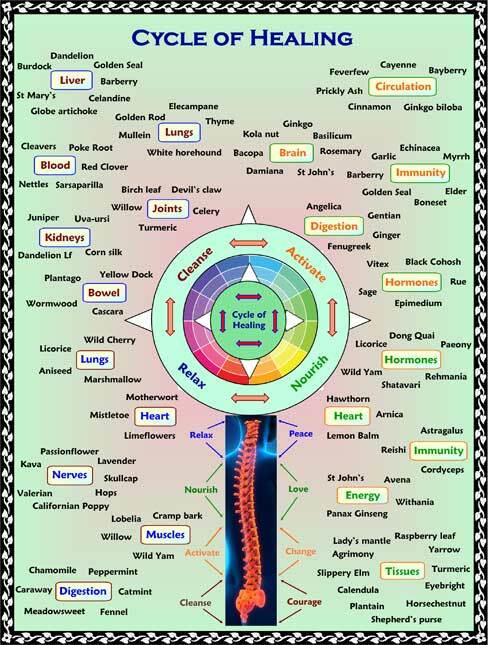 An an alterative (blood cleansing herb) it is indicated as part of a holistic approach for a wide range of problems'' Hoffmann suggests doses of 2-4mls of the 1:5 tincture in 40% ethanol or a 10-15 minute infusion of 1-3 tsps of the dried herb. The British Herbal Pharmacopoeia (BHP) describes Red Clover's actions as mildly antispasmodic & expectorant and says it is indicated for chronic skin disease & whooping cough and specifically indicated for eczema & psoriasis. The BHP suggests a dose of 4 gms or by infusion and suggests a tincture dose of around 1-3mls. ~ During the 19th and early 20th century Red Clover was prominently used in patent medicines for cancer and skin diseases but in the later years its reputation was widely dismissed by the medical establishment as being only anecdotal and unsupported by scientific evidence. However when Dr Jonathan Hartwell in the Journal of Natural Products demonstrated that 33 different cultures around the world use Red Clover to treat cancer researchers from the American National Cancer Institute were persuaded to do some research and found no fewer than four anti-tumour compounds within Red Clover including daidzein and genistein and the isoflavone biochanin A. 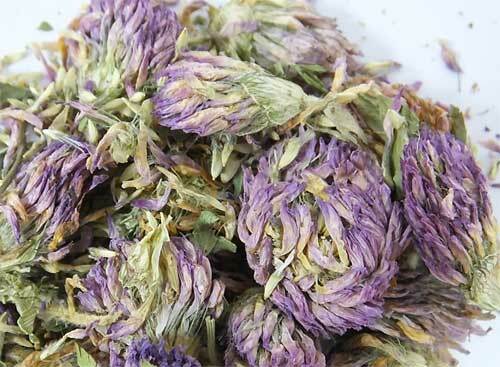 Red Clover is a very safe herb to use in the great majority of cases. I understand that the 'phyto-oestrogenic' effects of Red Clover are extremely mild and that consequently its ability to benefit menopausal symptoms, or bone loss etc. must not be over-estimated, they are likely to be moderate at best, however there should be a caution about using it in any significant amounts whilst pregnant. The other time I would be cautious about using is for a person who is taking blood-thinning drugs, as it may make the blood too thin. 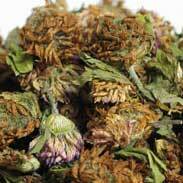 However, if there are good reasons to use it, then surely it makes more sense to have an open mind to potentially reducing the drug side of the equation rather than avoiding a herb like Red Clover that may make the blood less sticky and certainly will help it be to be more clean. Unlike a drug that carries real risks of toxicity along with making the blood too thin, such herbs are nearly always widely beneficial to the system as a whole, e.g. herbs/foods such as Garlic, Ginger etc. do not do harm by their frequent or generous intake, neither will Red Clover ever make the blood too thin by itself. I find Red Clover to be a gentle herb but at the same time to have remarkably penetrating properties. 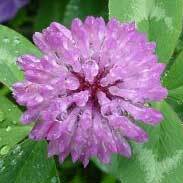 Red Clover brings a healing influence into hard to reach places and I have seen it greatly help health problems that have become stuck such as chronic lung or skin diseases. I will often think of using Red Clover when I see a person that has bad skin, a heavy coating on the back of their tongue and debris in their blood (from microscopic analysis). If used patiently Red Clover can be an extraordinarily deep cleansing herb and I personally think that it is this purifying property to the blood and lymph that has seen it gather such a potent reputation. Dosage is half the art of herbal medicine, and this is not a herb you have to be shy with! Smaller amounts may be perfectly adequate but, if needed, I would freely use up to 5mls a day of the tincture (in divided doses) or up to 4 grams a day of the dried herb combined into a formula where we want an immediate and strong effect from the herb. The flower heads are ideal and always to be preferred, but use the cut tops which include both flower and the upper leaves if that is all that is available to you. Note that a full, heaped tsp of Red Clover flowers is only about half a gram, being so light it is a bulky herb to use in quantity in the tea form. Consider using a tablespoon for preparation! If you who are reading this are studying herbal medicine or if you have your own reasons for needing to understand this plant ally at a much deeper level then I urge you to take a good dose of the tincture or the tea and then, with a quiet and attentive mind, observe closely how it makes you feel. This ancient method of 'experiential learning' can do more to help you appreciate the 'action' of the herb than any amount of academic study. Red Clover is as subtle as it is deep. Its rich colours, flavour and scent will be obvious but allow yourself a few minutes to let it penetrate into your blood-stream. It is a remarkably potent and 'whole-body' medicine that deserves the respect this kind of experience can give you along with, I hope, a personal understanding of why we have used such a common flower of the field as a front-line remedy against some of the hardest health problems we ever come against. 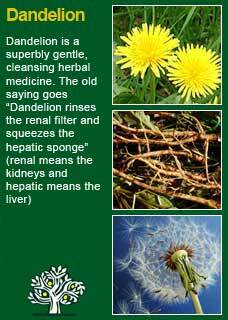 When it comes to deep blood and body cleansing Red Clover often combines perfectly with Dandelion root, Burdock root and Yellow Dock. 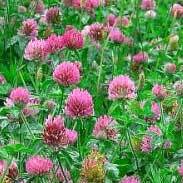 There is also something about using the Red Clover flowers with these potent root medicines that softens their impact and makes the treatment more tolerable to those who might otherwise have something of a healing crisis when the cleansing process gets properly underway. The following letter was written by Truman Woodford of West Hartford, Conneticut. It was re-published in the New York Evening Post and originally printed in the Phrenological Journal of December 1867. When about fifty years of age there appeared near the outer corner of my left eye a small scab, which slowly enlarged and soon became painful, attended with a constant itching, or rather a twitching sensation. Feeling anxious about it I applied to a physician in Hartford who said it was a cancerous affection but advised me to let it alone and give it no medical treatment. As the affected place continued to enlarge and the irritation increased I applied to another physician who attempted to cure it by applying caustic, which treatment proved an injury instead of a benefit. The sore increased in size, spreading over the temple, eating off both lids of the eye, discharging matter constantly, destroying the sight of the eye and causing almost insufferable pain. Thus matters stood at the end of 20 years affliction, and I had reached the age of 70. I had up to that time consulted 6 physicians, from none of whom did I receive any relief. The cancer now assailed the substance of the eyeball, eating it out entirely. The sore spread over the temple to the size of the palm of my hand and below the eye and three quarters of an inch. I then applied to an eminent physician in New York (Dr. Blake) and remained under his treatment without any benefit, but rather grew worse. I now gave up all hope of recovery, ceased taking medicines, and merely washed the affected part often in cold water. During the summer of 1865 it had become so painful that I slept but little, was very weak and nervous, was confined to my bed most of the time, and expected soon to die; my friends thinking i could not live until the following spring. 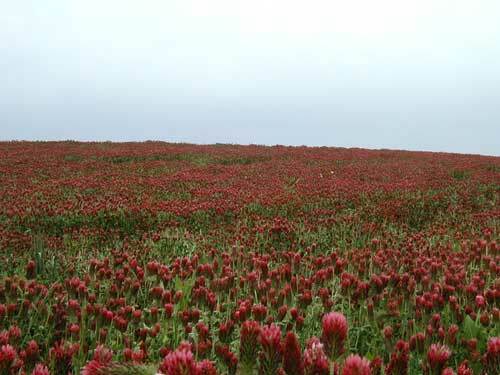 In the month of August 1865 I heard of a remarkable cure of cancer by use of the tea made from common field red clover. Thinking it was at least harmless I used it as a common beverage, making it very strong, and also washed the eye with the same. In less than two months, to my utter astonishment, the pain entirely ceased, and the sore began to heal at the inner corner of my eye. The healing process went on rapidly until the eye socket healed over, forming a skin as smooth as that on my cheek, and the redness is now gone. There is not over my eye even the semblance of a scar, and but a few scars remain on the temple. My sleep is now sweet, my appetite good, am more fleshy than ever before, my general health is never better and I think I have as few infirmities and am as hale and hearty as any man of my age, which is now 80 years. Much of the information here about the traditional uses of Red Clover is consistent with the model of thinking whereby one may treat problem A with plant B. There is value in this approach, especially in how it helps us pass on useful knowledge to one another, but it falls short in one vital area; and that is that people are not all cut from the same cloth! Something that works brilliantly for one person may do less for another -- why is this?